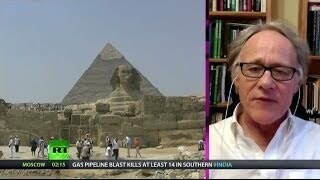 Abby Martin interviews author and philosopher, Graham Hancock, about the mysteries of ancient civilization, hidden societies from the past, censorship by TED Talks and the difficulty in getting these ideas accepted by mainstream archaeologists and historians. Jul 09, 2014 · Graham Hancock Breaks the Set on TED Censorship, Lost Civilizations & War on Consciousness. ... Graham Hancock. Larry King Faces Off with Abby Martin on "Dinosaur Media"